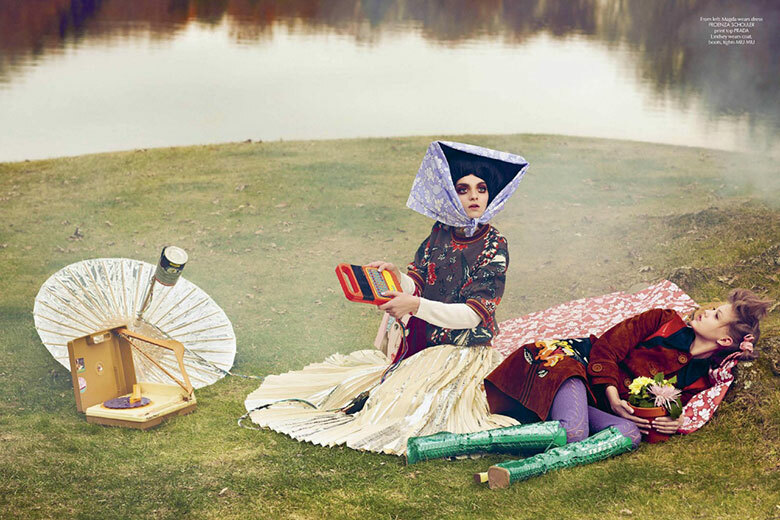 ’A tale of friendship and loss’ is presented in photographer Sebastian Faena’s fashion story for the CR Fashion Book 4 starring Lindsey Wixson and Magda Laguinge. 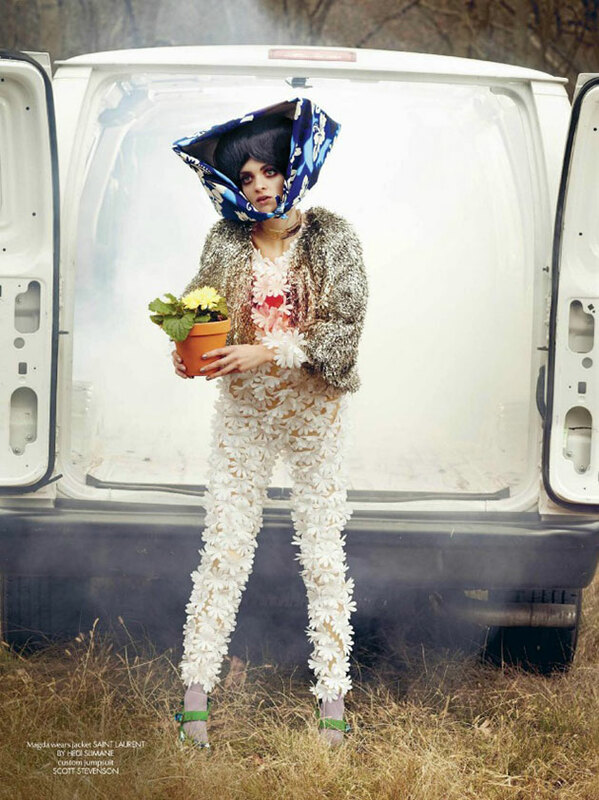 Seems like our fashion sense has reached the alienated in Faena’s editorial for Carine Roitfeld’s fourth fashion book. 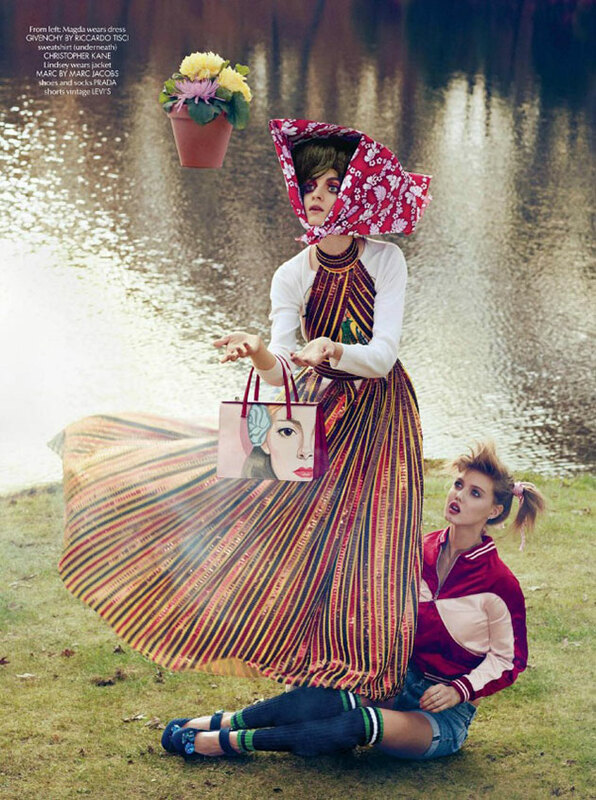 Supermodel Lindsey Wixson is acted out a more fashionable role of Gertie from the heartwarming film E.T. whilst Argentinian, Magda Laguinge has taken on the part of the lost and somewhat vulnerable alien who is everything but harmful. Captured in playful clothing signed Miu Miu, Prada, Proenza Schouler and Saint Laurent by Hedi Slimane, Lindsey has taken her supernatural friend along on a discovery stroll along the idyllic lake whilst sharing their unbreakable friendship with one another.